I do like the minty cool feeling that I get when I first apply this lotion, it reminds me of the cool feeling I get when I chew spearmint gum. I wouldn't but this moisturizer again only because momma needs her facial glow but other than that, this is a pretty good light weight hydrating moisturizer. You can not stand your friend's significant other.....do you speak up or keep your lips sealed? You just have a negative vibe about the person but nothing has really happened to make you dislike the person. Do you just put it out there that you don't care for the person or just stuff a bunch of twix bars in your mouth when your frirend asks for an opinion. What do you think? Would you tell? to answer your question, i'll keep my mouth shut. People can be so sensitive when they're in love. I might tell her my feeling and never mention it again. I value the friendship more!! Never tell your friend about her man. It's the best way to end up not being friends. I would never say anything to a friends but I'd definately speak up if it were my sister lol I think that everyone is entitled to like whoever they want. but if the person was physically or verbally abusive I would speak up asap. 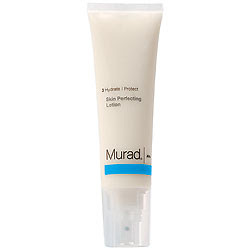 Murad: man that stuff made me look like a ghost, lol. Men: If she asks I will tell her. If she does not ask I will not tell her. I won't be rude about it but I'll tell her my concerns and also let her know I respect her decision to keep dating him if she so chooses. I've done it in the past with friends and my sister and there has never been a problem when I ONLY speak when asked! I sure will RUN to the theater to see Morris Chestnut's new movie. Aint no question about that. I'll wait for the dvd of Bejamin Button, although I am a fan of Taraji. Tatyana Ali does some entertainment show on TV One I think. So she is employed. And I'd try to be cordial to friends' significant other. oh, seems I didn't answer the last question correctly......I'd more than likely allow my friend the space to see her significant other for his true colors.......but if said friend were to ask, well I don't think I'd mince my words. Thank you all for your great advice and personal experiences. Ren I'm glad you two patched things up though. Hey girl, it depends on how close I am with the friend & how much I have to tolerate her significant other. But in most cases I'd probably keep my mouth shut too, to say 'I told you so" to a friend would probably make them feel worst & then she might resent you 4 it later. That kinda happened to me & a friend who I no longer talk with lol, she let her bf get in the way of our friendship & at one point we were bffs. When I think back about it now cuz its been a few years now, its sad but I guess that's life. I told her how I felt & she got really mad & defensive with me & after that our friendship was never really the same & we evtunally stopped talking all together. O well, I'm over it now but it just goes to show you how once you go & tell a friend how u feel about their bf they look @ u different & say your jealous b/c ur single and/or not happy & you go on about you don't understand. Funny how things turn out & ppl who thought you'd b friends with 4ever end up being ppl only in your life 4 a season. Wow that's crazy Lauren. i am sorry you had to experience especially with someone you considered to be a bff. I wonder if she isstill with him. Thanks for sharing.